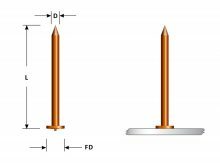 Weld pins are used for attaching insulation to various metals, with the use of a CD welder. After the pin is welded in place, the insulation is impaled on the pin and secured with a self-locking washer. 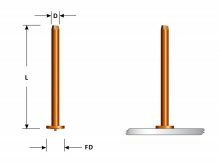 Length of this style pin should exceed the thickness of the insulation, in order to securely attach the self-locking washer. 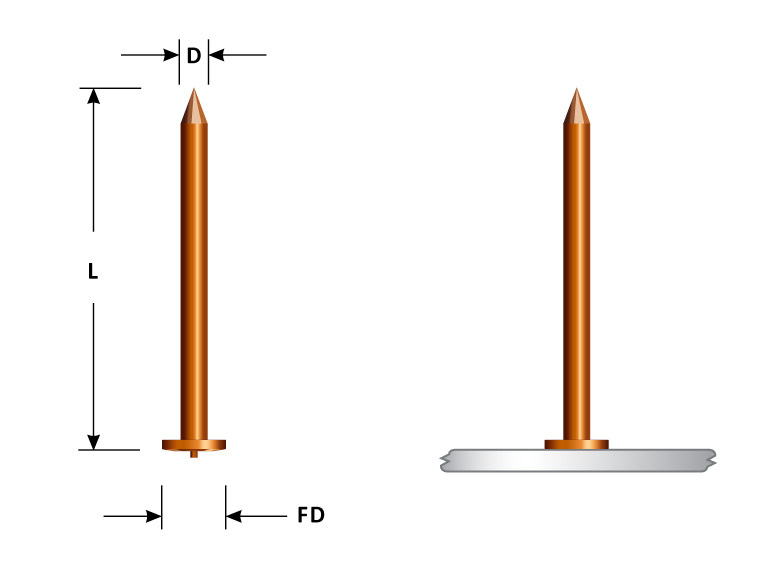 Nail point is standard – available with “blunt end” as special order.